The latest technology buzz word is ‘the cloud’, but what is this cloud that everyone’s talking about? The cloud is the future of storing and accessing your important data and programs – and if you’re a small business owner and you’re not using it by now, it’s time for you to embrace this fluffy cumulonimbus bad-boy, as it’s essential to your success. Read on! First things first, the cloud is the ultimate metaphor for the internet that goes way back to the beginning of the internet which was seen as gigantic infrastructure floating out in the skies, sending and receiving information as it travelled the world. It’s not only poetic, but it highlights the expansive possibilities of cloud computing. Like the common rainmaking cloud, cloud computing knows no limits. So, what is cloud computing exactly? 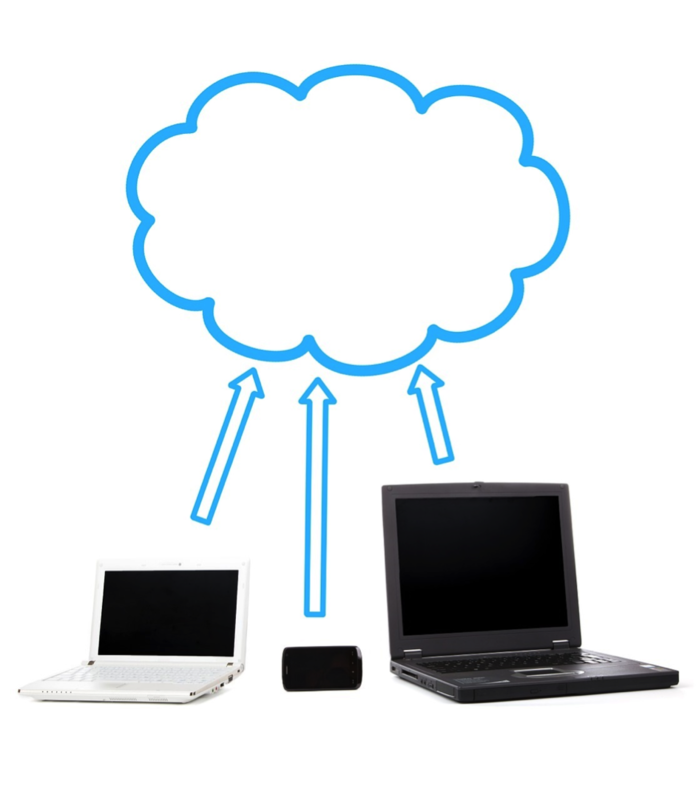 When we talk about cloud computing, we’re talking about the storing and accessing of data over the Internet. This kind of innovative computing results in you and your business being less attached to your hard drive, that old ball and chain that has kept you stuck at your desk for one too many years. With cloud computing you can access your data from any device, anywhere in the world as long as you have a connection to the Net. It sounds too good to be true, doesn’t it? And this is only one of its many great attributes. As a small business owner in New Zealand, your passion for what you do is what made you become an entrepreneur in the first place. We all know that the first 5 years of a building a business is precarious and filled with threats. It can often mean working 7 days a week, every month of the year. In order to truly succeed in business, you’ve got to have a good life-work balance, and even small business owners still want to go on vacation, travel to grow your business, or just simply leave the office once in a while to recharge. As I’ve mentioned above, one of the biggest advantages of cloud computing is being able to tap into your data from anywhere in the world. This goes for payroll too! It’s unanimous: most small business owners hate the hassle of doing payroll, and many outsource the work to accountants. But if you want to be really hands-on, knowing where every cent of your money is going, it really is best to do it yourself, in house. These days everything from bank transactions to petty cash can be handled by digital systems, which is why more and more companies are moving their payroll operations to…the cloud. And why not? Give your computers a break by letting the network of computers that run the cloud manage your applications. All you need is a web browser and the right program and away you go. You give your hardware, your software, and yourself a break by using cloud computing. It’s not all the mysterious – you’re probably using some form of cloud computing right now: Hotmail, Gmail, and the ever-popular Google Docs are all based in the cloud, so you know the benefits of it first-hand! You log in to your Web email account from your laptop, tablet, or phone and your software and storage for your account doesn’t exist on any of your devices – it’s in the cloud! With our online payroll service, you can pull up the information you need and perform your calculations swiftly. Once you’ve set up the online system, it only takes a few minutes to initiate a payroll run, instead of the hours it used to take you. The online format lets you calculate pay based on hours, overtime and bonuses, while effortlessly keeping track of holidays, sick days and annual leave, freeing you up to focus on growing your business. Hello extra money! Online payroll not only eliminates your need to hire an outside payroll service but it also reduces expenses by allowing you to perform the weekly updates yourself. As a small business owner, reducing your day-to-day running costs will have a big impact on your bottom line. Do the math: calculate how many hours you and your staff spend managing payroll and translate that into proportion of wages – ouch. Do you see how those expenses can multiply? Whoever you have managing your payroll is wasting too much time on it, which means you’re wasting money. Make the switch to an online payroll system and you and your staff will avoid spending hours on administrative tasks. To err is human, and unless you’re a cyborg you’re going to make mistakes if you attempt to perform your business’ payroll tasks manually. An online payroll system like SmartPayroll does the calculating for you, so you can keep those pesky mistakes to a minimum. All you need to do is set up your payroll correctly initially and that you enter the correct hours worked. With less opportunity to manually enter the wrong information, our online systems minimize the risks of mistakes. Can you feel yourself de-stressing already? It’s becoming increasingly clear that online payroll is a great choice for any small business in Australia, but we need to talk about the storms-a-brewing. A Cloud on the Horizon: Is the Cloud secure? There’s been a lot in the news lately with celebrity accounts being hacked, and massive leaks of information. Hackers are for real and they really want your details. They might even try to steal your identity, or the identities of your employees. With a strong cloud service database, these nasty hacks won’t have a chance at getting at your precious information. If you’re feeling paranoid, you could encrypt your data to reduce the impact of a breach, but then, worst case scenario and you lose your encryption key, you lose your data. Note that offline backups of your data to reduce data loss actually increase your exposure to data breaches. Not only this but if it’s not the hackers, it’s the natural disasters threatening your precious data. With careless cloud service providers, the potential of seeing your valuable data disappear into the horizon without a trace is a real possibility. Malicious hackers might delete your data for a good time but disasters like fires, floods, and earthquakes are threats too. But you can defend yourself against hackers by prohibiting the sharing of your account credentials and keeping a close eye on the system you use. Going with a smart online payroll provider who can be trusted, is the number one way of protecting yourself from hackers and theft. Despite some of the risks, online payroll systems provide many benefits for Australia’s small businesses. And if you’re serious about growing your business, it’s time to get serious about your payroll. Contact us to learn more about how your business can run more efficiently with our payroll solutions.